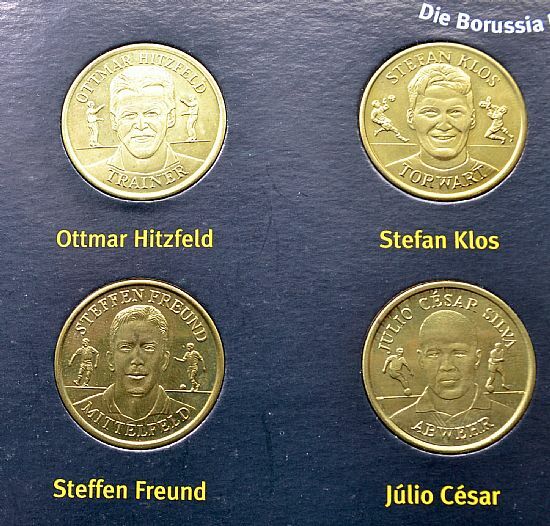 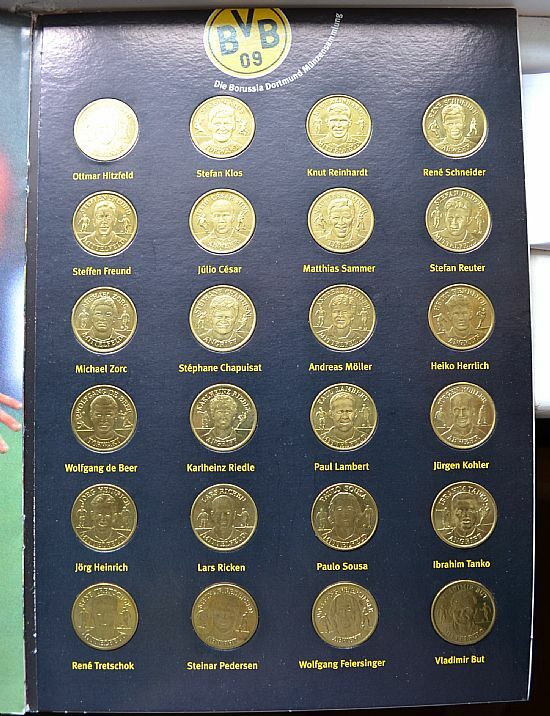 Clearly the producers of the Sainsbury's coins sets went off on a sales mission across Europe that included Dortmund, Porto and Benfica amongst other clubs. 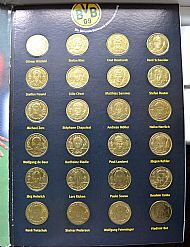 Classic format of A4 folder with thick card display area. Dates to 1998. 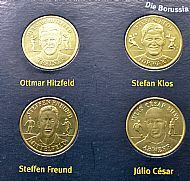 Identical to the British Sainsbury coins.